Nunn Finer thanks KERRITS for being the Official Apparel Sponsor of Nunn Finer Riders. Kerrits provides quality competition and casual wear that our riders enjoy both in and out of the saddle. Sarah “Sally” Cousins is a driving force in the field of eventing who has been named the U.S. Eventing Association’s Leading Lady Rider for the last five years in a row. Her career highlights include multiple appearances at top-level events such as the Rolex Kentucky Three-Day Event, Badminton, Burghley and Fair Hill International. Based out of Oxford, PA, Sally loves training horses and riders of all levels and helping them progress in their training and experience. Sally started riding at age five and shortly thereafter joined Pony Club. She evented and showed in the hunter divisions as well as participating in fox hunting. She credits her varied experience in horse sports as helping her develop as an all-around horsewoman, and often draws from her own experiences and lessons when instructing students and their horses. Based in Kirkwood, PA, Molly is the face of Havarah Equestrian. She is a West Coast eventing transplant who moved out East with her advanced level horse, Havarah’s Charly, in order to further her business and career. Growing up she was involved in Pony Club (earning her 'A' rating) and represented Area VI at the NAYRC. She works with Phillip Dutton, as well as Anne Kursinski to continue to grow and expand her skills as a rider and trainer. 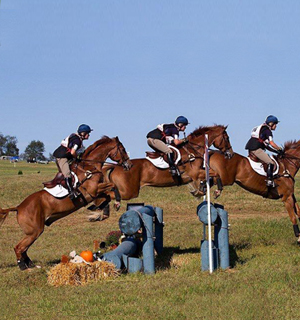 She is an active competitor up and down the East Coast with several client owned horses. Molly’s eyes are set upon being a part of the United States Equestrian Team. rider based out of Summit Point, WV, Sharon is known for her absolute dedication to her horses, her students, and Last Frontier Farm. Sharon gives credit to her success as a rider and a horseman to the years of quality training she has received from the best international riders and trainers in the world. Always seen sporting the bright orange color of Last Frontier Farm, Sharon is known for her skills in teaching and training just as much as her competing. Sharon and Rafferty's Rules, in the jog up at Jersey Fresh CCI*** 2010, where they placed 4th. Ashley MacVaugh is no stranger to international-level eventing competition, with appearances at Burghley, Blenheim, Rolex Kentucky and the 2003 Pan American Games, where she placed fifth individually. She successfully completed Rolex Kentucky a record six times on one horse, All's Fair. 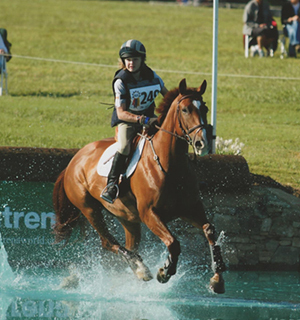 Growing up in Washington, DC, Ashley became active in her local Pony Club at an early age and progressed throughout the years to make the Area 1 Young Rider Team in 1989 and 1990. Ashley continues to bring horses to the Intermediate and Advanced levels and is a USEA ICP (Instructors Certification Program) Level III Instructor. She aspires to ride for the U.S. in future team competitions, but also thoroughly enjoys bringing young horses up the levels and helping her students reach their own personal goals. 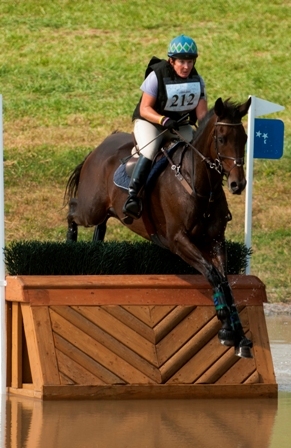 Carol is an advanced level event rider based out of Geneseo, NY. Carol nurtured several horses through the length of their competitive careers, some of whom competed successfully at Advanced, notably Erin Go Bragh and his two kids Gaelic Holiday and Take Time. 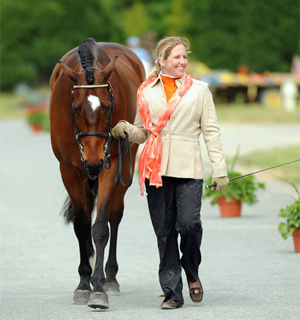 She is also known for her successful career coaching the Area II Young Riders Team from 2004 to 2006, and in 2005. The team won more medals than any other team in the country. Over the years she has trained with Karen O'Connor, Jessica Ransehousen, Jane Savoie, Wash Bishop and Phillip Dutton. In addition to competing, Carol teaches monthly clinics throughout the country and runs a busy teaching and training barn named Mothersfield. Carol is a fantastic horsewoman with a great sense of humor and that is why she is a perfect fit for the Nunn Finer Team. Jennie has been working for Olympic team member Phillip Dutton at True Prospect Farm in West Grove, Pennsylvania since 2008. Being part of such a busy & successful event facility has given her the opportunity to train with the top in the industry, as well as develop her own business. Jennie has attracted her own group of private clients for training, sales & competition. 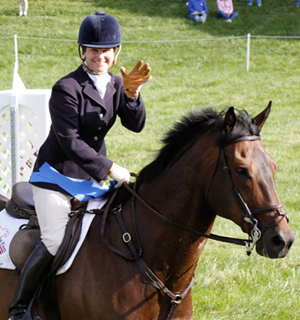 The USEA named Jennie to the 2010 Top 10 Rider List and Cambalda was named to the 2010 Developing Rider List as well. Jennie has a bright future in this sport and Nunn Finer is proud to sponsor an up and coming USEF High Performance Eventing rider! A lifelong rider, Marilyn Little skyrocketed to the top of the show jumping world in 1996 at age 14 when she became the youngest competitor to win the U.S. Junior/Amateur Championship. She went on to win the United States Equestrian Team’s Talent Derby three times, and was the first woman to win this prestigious event more than once. 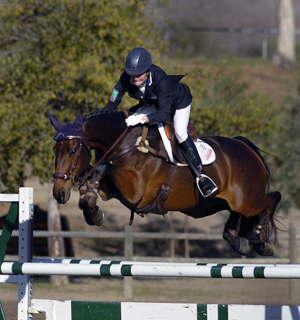 A member of the 2000 U.S. Show Jumping squad, Marilyn represented the U.S. on the Nations Cup tour in Europe. 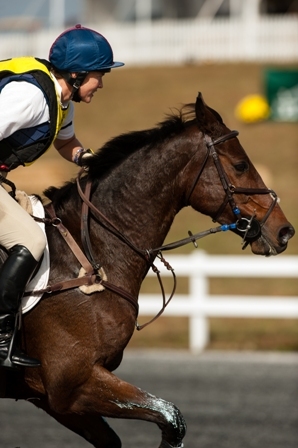 Marilyn’s eventing career began in 2011 and in the same year she took top honors at the Plantation Field CIC***. She continues to compete at the Advanced level and finished up the year in second and fourth place at the Fair Hill International CCI***. Marilyn is based out of Raylyn Farms in Frederick, MD. Calvin Ramsay is our youngest team member at only 14 years old. President of Nunn Finer, John Nunn was impressed by this young man at the American Eventing Championships in September. Calvin is a full-time student at the Episcopal School of Acadiana in Lafayette, LA but takes time during the week to lesson with his father and former advanced level competitor, Court Ramsay. Calvin also travels to Virginia to train with Karen and David O’Conner. Placing first and third on his two mounts at the AEC, Calvin shows great promise to be a strong competitor of the future in this sport. We are proud to have him on board!